I’ve spent over a decade studying the areas in the world where people live longer and healthier lives than anywhere else on the planet. These “Blue Zone” regions are incredible because the people there live not only longer, but better. Besides having a large percentage of people that live to 100, the aging population also remains active well into their 80 and 90s, and typically do not suffer the degenerative diseases common in most of the industrialized world. 1. Move Naturally. Moving naturally throughout the day — walking, gardening, doing housework — is a core part of the Blue Zones lifestyle. 2. Purpose. The Okinawans call it ikigai and the Nicoyans call it plan de vida. Knowing why you wake up in the morning makes you healthier, happier, and adds up to seven years of extra life expectancy. 3. Down Shift. Stress is part of life, but Blue Zones centenarians have stress-relieving rituals built into their daily routines. Adventists pray, Ikarians nap, and Sardinians do happy hour. 4. 80% Rule. People in Blue Zones areas stop eating when their stomachs are 80% full and eat their smallest meal in the early evening. 5. Plant Slant. Beans are the cornerstone of most centenarian diets. Vegetables, fruit, and whole grains round out the rest of the diet and meat is eaten in small amounts. 6. Wine @ 5. Moderate but regular consumption of wine (with friends and/or food) is part of the Blue Zones lifestyle. 7. Belong. Being part of a faith-based community adds four to 14 years to life expectancy. 8. Loved Ones First. Having close and strong family connections (with spouses, parents, grandparents, and grandchildren) is common with Blue Zones centenarians. 9. Right Tribe. The world’s longest lived people have close friends and strong social networks. After spending so much time in these Blue Zone areas and traveling around the world lecturing and presenting my research, I wanted to find a way to bring these longevity lessons home. There’s no physical fountain of youth — you don’t have to move to these far-flung places to add years to your life. It also can’t be chalked up to just “good genes.” The Danish twin study shows us that genes dictate only 20% of longevity. Lifestyle and environment account for the rest. During my time in all the Blue Zones regions, I saw, firsthand, how the environment dictated the lifestyle of the world’s healthiest people. They weren’t trying to be healthy. Looking at the Power 9 principles, it was a daunting task to figure out how to apply the common practices found in the Blue Zones to the United States. Our built environment (the man-made surroundings in which we live, work, and play) facilitates our unhealthy lifestyle. The great majority of Americans live in places built for cars and not pedestrians, which affects not just moving naturally (walking, biking, hiking), but the other Power 9 principles as well. We spend so much of our daily lives in our cars commuting to work, stores, and yes, even to the gym. 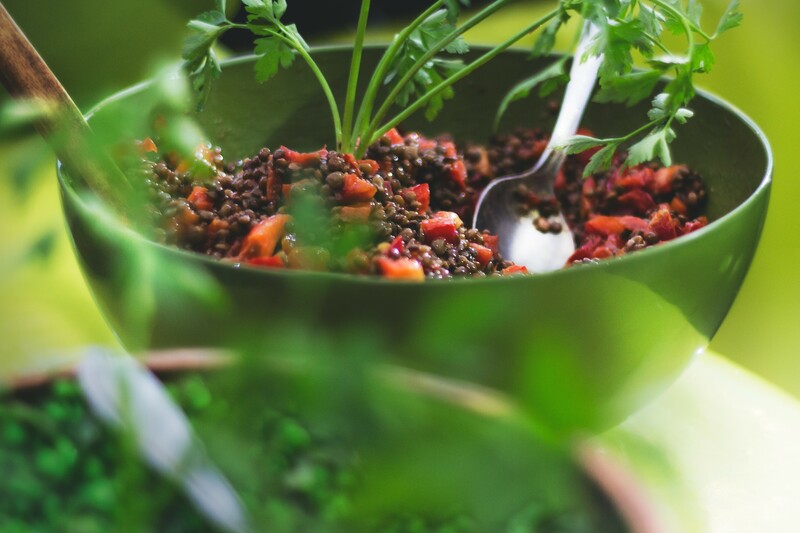 This only increases stress and leaves precious little time for cooking healthy meals, socializing with friends and family, and getting involved with volunteer work. We have mod cons so that we don’t have to lift a finger and every store and restaurant is filled with easy, unhealthy choices. So every year, we become more unhealthy, heavy, stressed, and lonely. In 2009, I partnered with Healthways to start the Blue Zones Project, which brings the Power 9 longevity principles to whole communities. To do this, we focus on changing built environments — we want to make the healthy choice the easy choice. Instead of just focusing on the individual, the Project creates sustainable, long-term changes that affect the entire community and future generations. 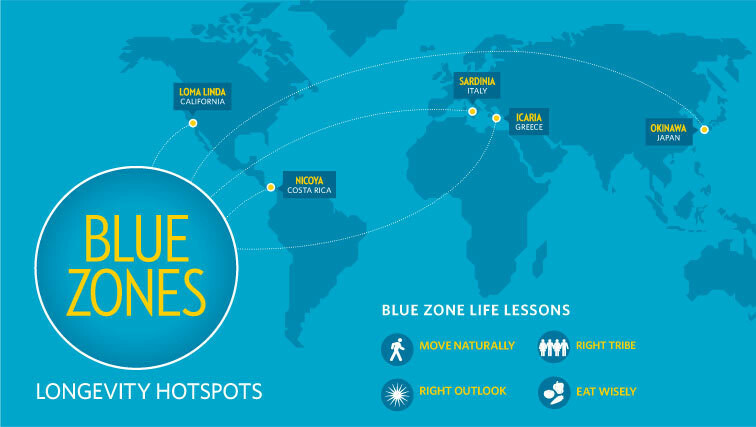 Just as it sounds, the Blue Zones Project is no easy task. Changing the way a community moves, eats, and connects requires working with local governments, businesses, schools, and religious organizations. Our experts work with city planners and local government to create sidewalks and bike paths, clean up local parks, and make it easier and more fun to be active. We work with restaurants, grocery stores, schools, and large employers to make healthier foods more accessible and less expensive. We also work with local community groups and religious institutions to create walking groups and other opportunities for residents to meet new people, create new connections, and improve their lives with volunteer work or new hobbies. By improving the places people live, work, learn, and play, we make it easier for people to move naturally, make new friends, and eat healthy. The results have been dramatic. Albert Lea, MN was the first project city. In just one year, citizens added 2.9 years to their lifespans and healthcare claims decreased by 49%. Participating businesses saw a 21% decline in absenteeism. In three Southern California beach cities, obesity, smoking rates, and health risks dropped dramatically in five years. This translated to $12 million in healthcare savings in these cities. Another Blue Zones Project city, Naples, FL, currently ranks first on the Gallup-Healthways Well-Being Index for 2016. There are currently 42 Blue Zone Project cities across the United States, and we continuously receive new applications from communities and cities all over the country that see the need to create lasting change.